When is the last time that you had a good laugh? I mean the kind of laugh that makes your sides hurt, your drink exit through your nose and tears form in your eyes? When is the last time that you laughed on a Monday? We are surrounded by examples of the absurdity of what it is to be human, yet we often take it all too seriously. We often act as if the rotation of the earth and the preservation of the universe is based on the minute decisions that we make every day. If we are able to step back and witness the behavior around us--the eccentricities and the misconceptions--we can appreciate the richness of the dramas that shape our lives. If we choose to engage in drama, it is important to remember its place in comparison to the universe as a whole. Remember, the sun WILL come out tomorrow. Why not begin your week with unbridled joy? 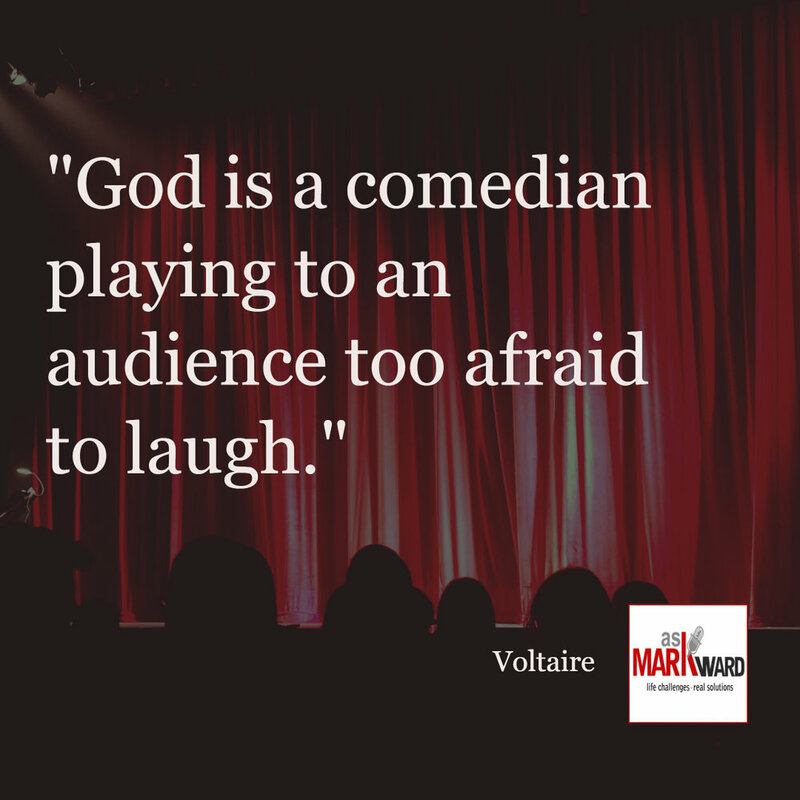 What is it that makes you laugh? What brings your spirit to life? How will you feed your soul today? Success or sabotage? If your definition of success is absent joy or laughter, what is the point? Is this going to be an incredible day? This day is yours for the making; don't put off the "incredible" for tomorrow when today is resting at your feet.